Fitness has become a new synonym for sexiness these days. People are engaging in various fitness activities and routines to be health and get the body of their dreams. But still, there are certain areas of your body which are difficult to change like thighs. Well, not anymore. In this article we will go through some steps, few tips to reduce the thigh fat. Avoid drinking soda and energy drinks no matter how appealing it sounds. Green tea is a good substitute. To give up all the delicious food is not an easy thing to do. Saying it from experience. 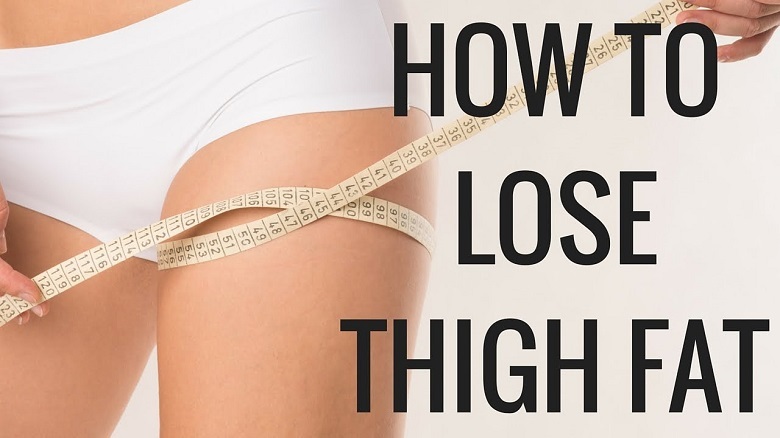 But to gain something we have to give up something and in this case to reduce the thigh fat you have have to make certain changes in your diet. Make sure to include carbohydrates, proteins, fruits, etc. Do not starve yourself by not eating instead eat well and eat healthily. You can lose weight by eating the right food. Cycling: If you are not an exercise person cycling is a good option. Pick a place you like, beautiful and full of nature and go on a ride. Inner Thigh Workout: Do not over do it. A well done five minutes workout followed by other routines to keep the lower body healthy should be good enough. Hiking: It another form of exercise which lets you connect with nature. There are many beautiful hiking sites around the world. Pick one which is near and close or simply explore your site. Running: Well running comes with an option you can do it at home or go out to a nearby park and run a mile or two. Jumping: Jumping rope can be a fun game. Call your friends and be creative with it. These are the few form of exercise you can do. No matter how inspired you are to lose weight and be fit but overdoing anything is not healthy. Our body is full of miracles and can do wonder no doubt in it. But this natural machine needs proper rest and maintenance to keep working properly. 8 hours of beauty good night sleep and taking a break from now and then from your hectic life and do the trick. One must not welcome the laziness as a friend rather rest properly but be active.